The original color scheme is from here and someone ported it to Netbeans, the GitHub project page, but I don’t think the ported version is better than this post provided, at least on Netbeans v7.3. 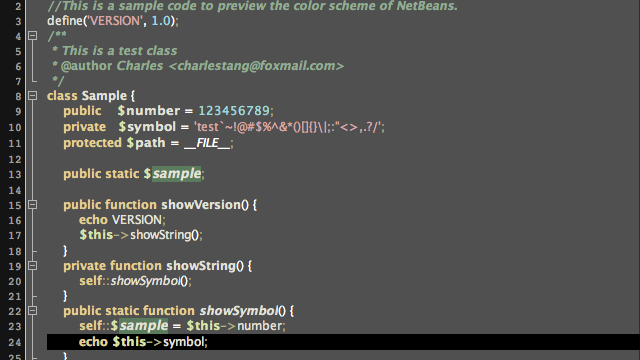 I also use this theme for my notepad++ . love it! What font used in the above example and is it a freely available one? Closest I’ve found is F Balance OT but that’s not a freely available one. How does one install this after extracting the sip file?